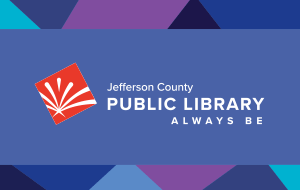 To enrich the informational, educational, and recreational quality of life for all people in Jefferson County, the Library will provide its users an atmosphere and environment free from unnecessary distractions and conducive to the highest and most efficient use of Library facilities. The Library strives to maintain a safe environment conducive to the welfare of all users of library facilities. Library staff are not trained or expected to provide care and supervision for children or other persons in need of constant attention. The parent, guardian, or caregiver is responsible for monitoring the activities and regulating the behavior of children or other persons requiring supervision during their Library visit. When children or persons requiring supervision are unattended, staff will make an effort to locate the responsible parent, guardian, or caregiver. If necessary, appropriate law enforcement or child protective authorities will be notified to assume responsibility for the welfare of the child or person in need of attention. The Executive Director is responsible for interpreting and managing this policy. The Deputy Executive Director is responsible for the implementation of this policy in the libraries. JCPL employees shall notify the Person-In-Charge of any unattended child still present in the Library 10 minutes prior to closing. Staff should help the child contact a parent, guardian, or caregiver for a ride within 10 minutes after Library closing. If no one has arrived to retrieve the unattended person by 15 minutes after Library closing, staff should call the police. All JCPL employees are authorized, in the absence of the Person-In-Charge, to notify local law enforcement when individuals or groups do not heed or follow the requests or instructions of Library staff. JCPL employees shall follow the recommendations of local law enforcement officials. In the absence of the Person-In-Charge, or when immediate resolution is required, JCPL employees are authorized to advise any person of the applicable rules.